This traditional design has stood the test of time. 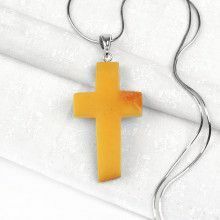 The sterling silver case is in the shape of a simple equilateral cross and holds a singular honey amber stone in its center. 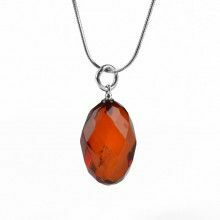 The stone is highly polished and features an array of tiny inclusions that is indicative of natural amber stones. 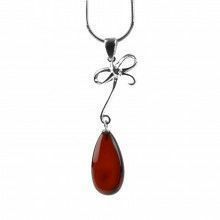 Please browse our selection of fine silver chains to compliment this pendant.